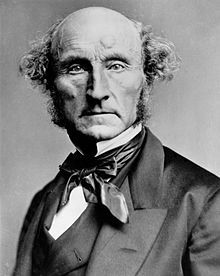 ↑ "John Stuart Mill's On Liberty". victorianweb. Retrieved 23 July 2009. On Liberty is a rational justification of the freedom of the individual in opposition to the claims of the state to impose unlimited control and is thus a defense of the rights of the individual against the state.